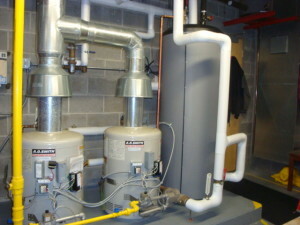 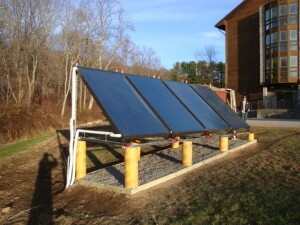 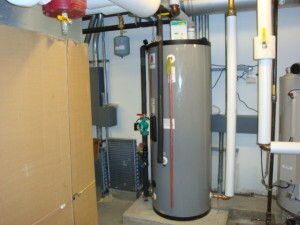 Ground mount thermal solar system in Uncasville, CT. 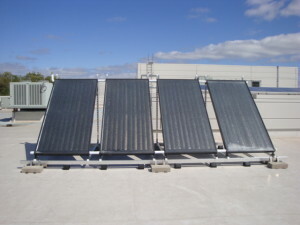 The insulated lines have a white UV protective paint on them. The two photos above are of solar storage tanks that are piped to the thermal solar panels on the roof and are storing the preheated water that will be feed to the existing water heaters at the facilities.